PERTH’S BIGGEST EOFY CELEBRATION IS BACK! 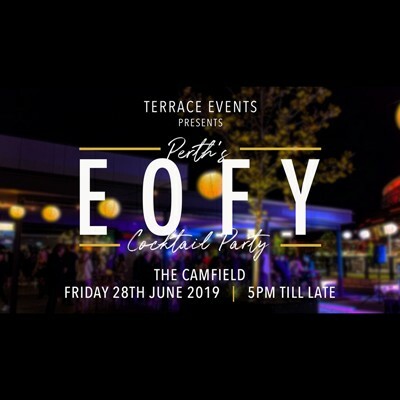 After last years sold out event with just over 2,500 corporates, the Terrace EOFY Cocktail Party will be returning to the Camfield for one massive mid year celebration! This will be the #1 destination on June 28 as we let our hair down to celebrate the closing of another financial year with colleagues, clients and friends.